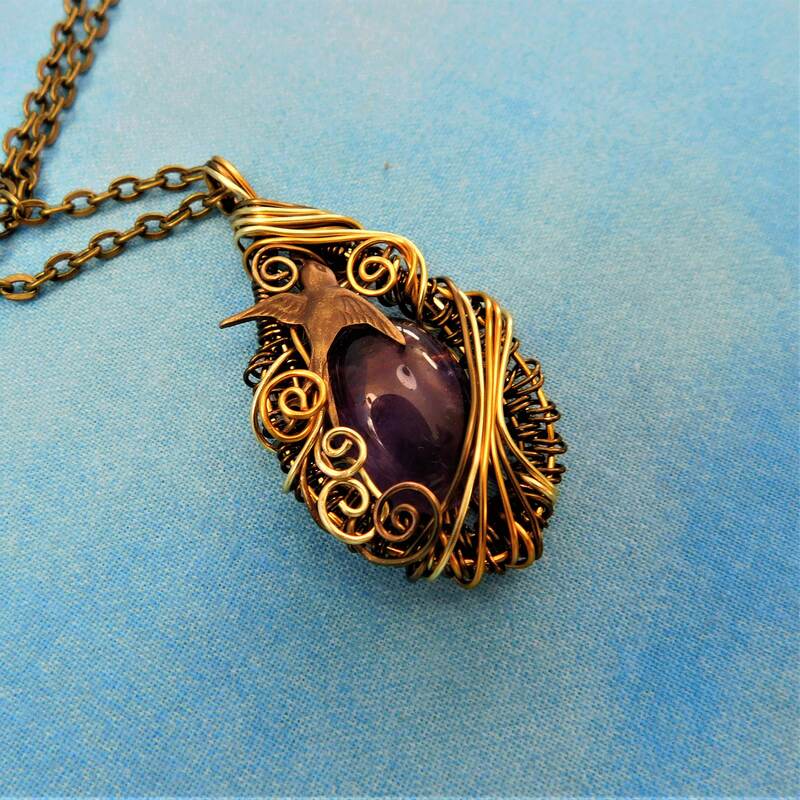 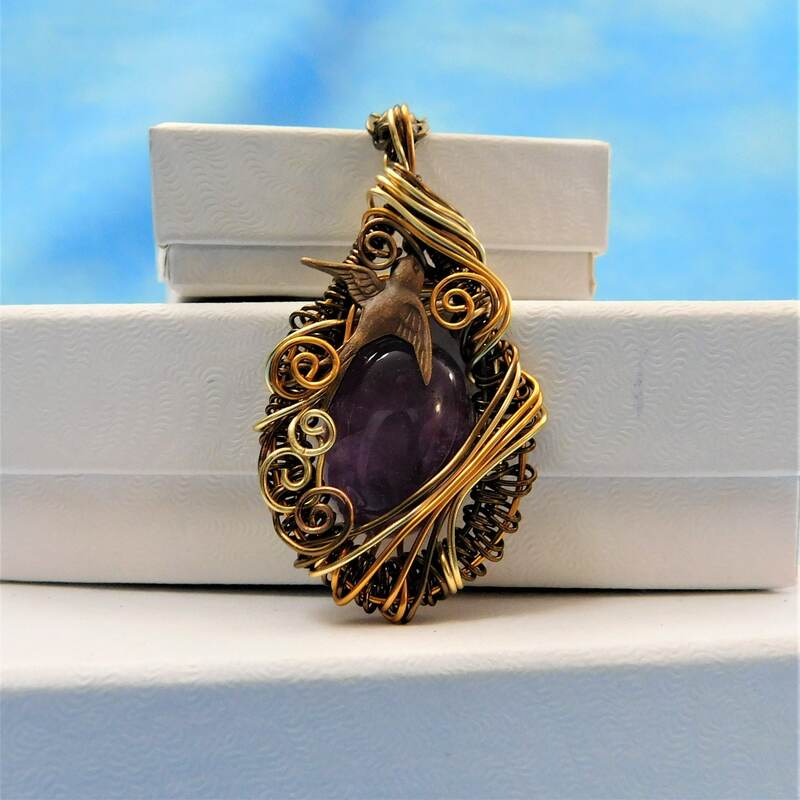 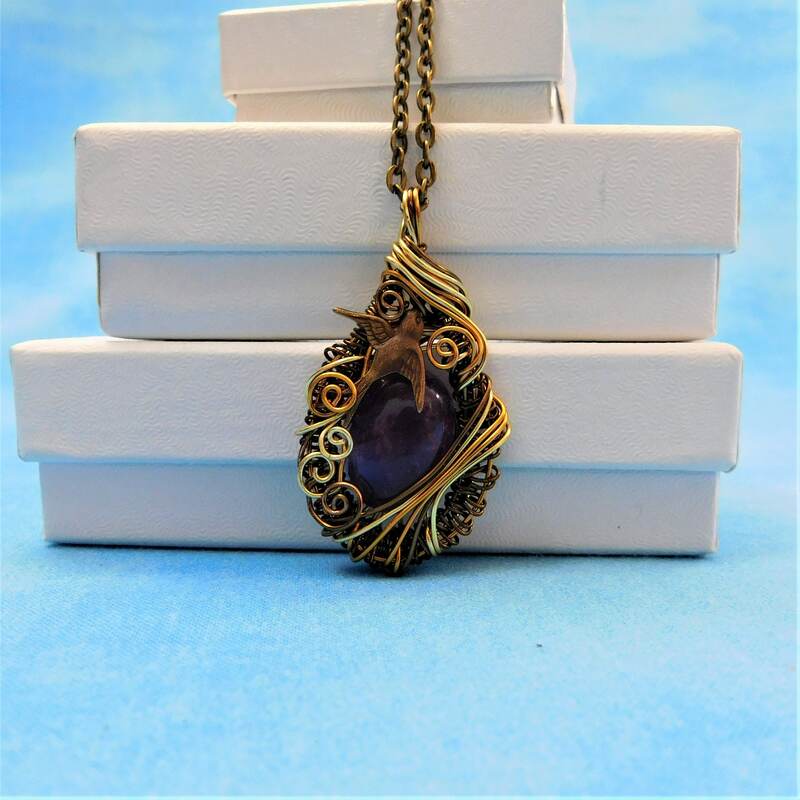 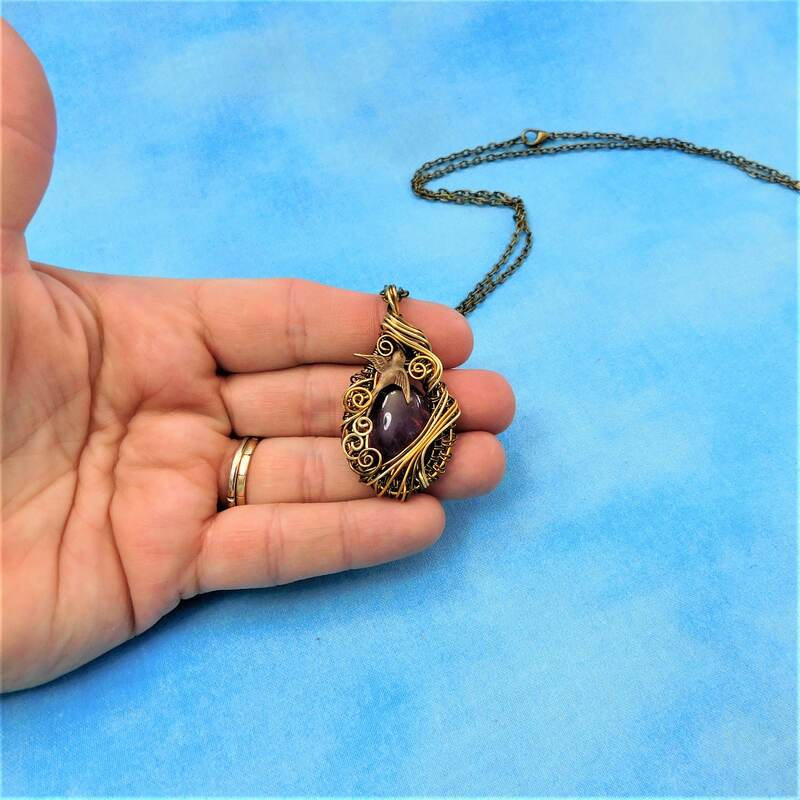 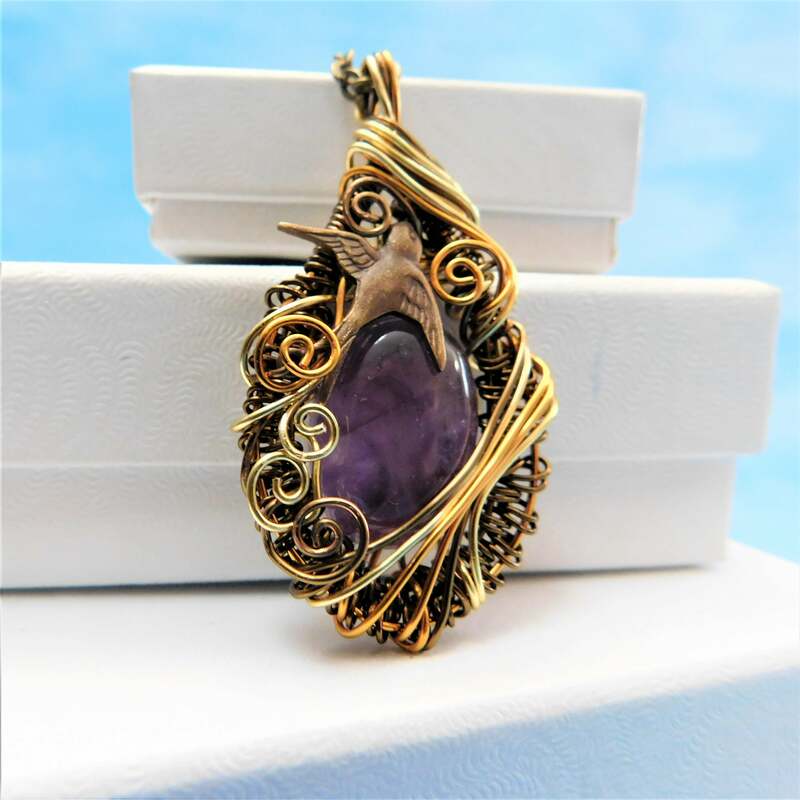 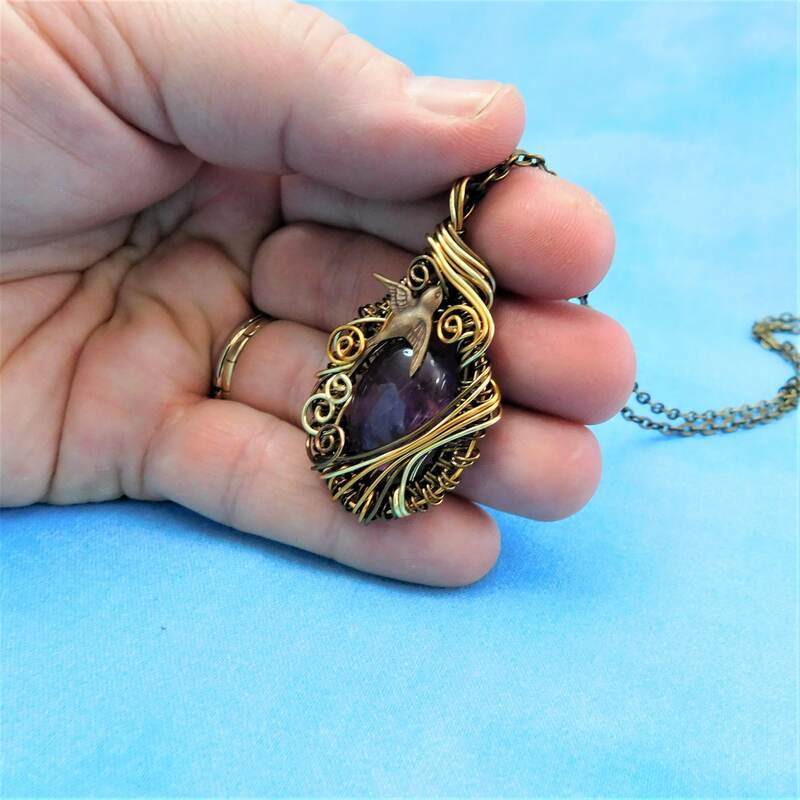 An oval shaped Amethyst is artistically wrapped in artisan crafted hand woven and sculpted wire. 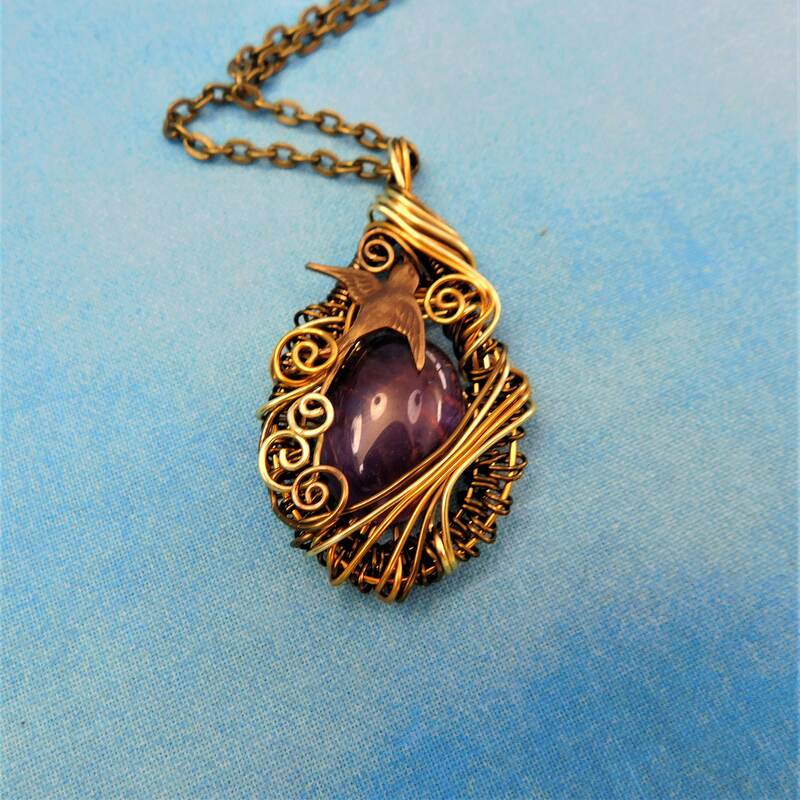 Four shades of non tarnish copper wire are accented with a vintage bronze tone flying swallow embellishment. 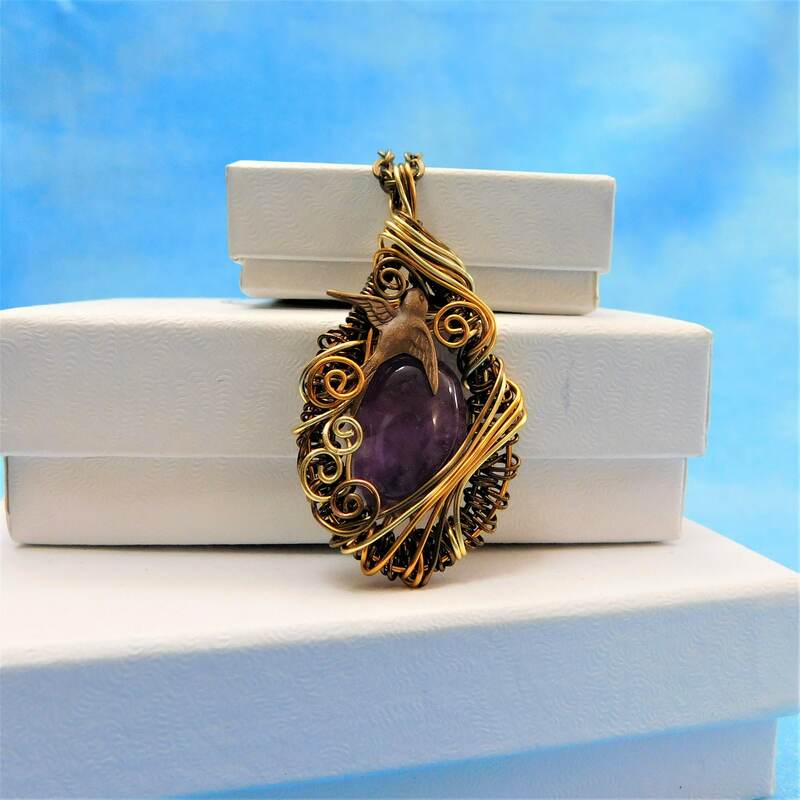 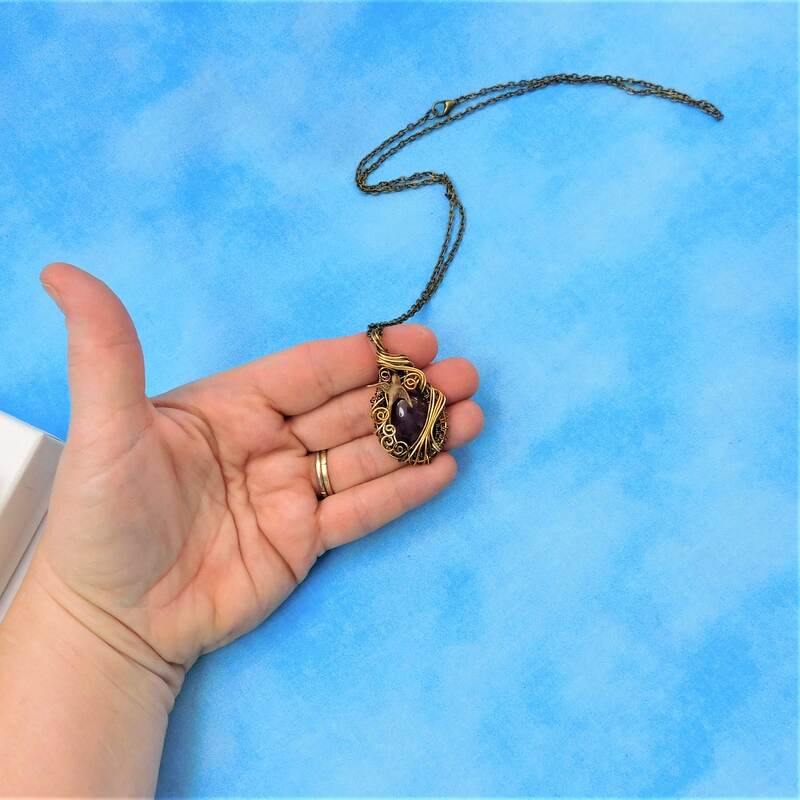 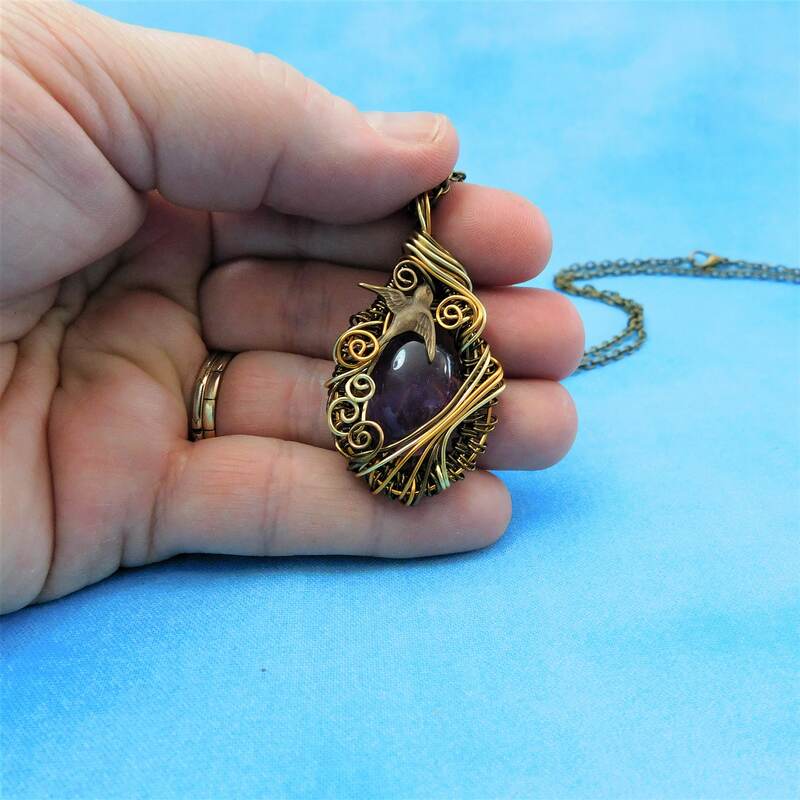 The purple color of the gemstone is complemented by the warm copper colors that frame the stone.